Time to end September with a look at Kalama Beach. I got this picture in a lucky moment making it look almost like a private beach with nobody there. 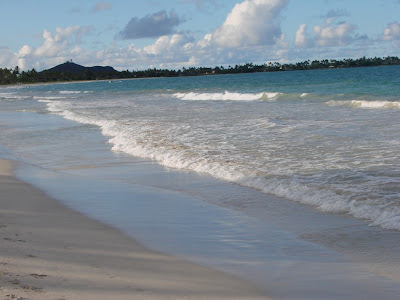 This brings out the beauty of Kalama Beach and while not deserted it is less crowded than the more popular Kailua Beach nearby. 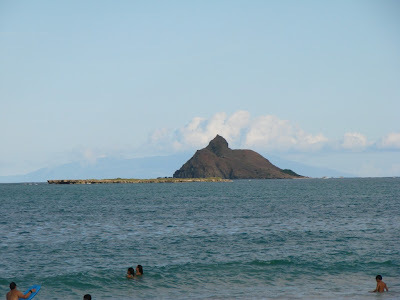 On a clear day from Kalama beach in Kailua you can see three islands. The front most island is Flat Island also known as Popoia Island and behind that is one of the Mokulua Islands which is a state seabird sanctuary both of them in easy kayak distance. Way in the back and a couple hundred miles further you can see a piece of the neighbor island of Maui. 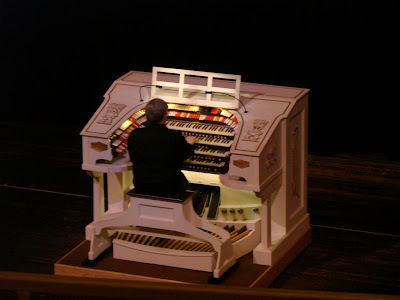 One of the showcases of the refurbished Hawaii Theatre is the Robert Morton Organ one of two that were brought into Hawaii in the 1930’s which has been restored and hooked into the theatre providing some fo the best acoustics in Honolulu. If you haven’t already you must check out one of the performaces using the organ as its an experience to behold. This ends our look at the Hawaii Theatre. I hope you enjoyed the pictures and next time you see something there drop by and check it out.